Garmin GPS unit have been a staple in the trucking industry. The Garmin Elog was one of the first units on the market. It is currently still one of very few units that are available without the monthly subscription. Bellow we will review the Garmin eLog ELD Compliant device in great detail. In addition to the guide , we provided a large FAQ section. Further, we would like to provide answers to many questions posed by drivers regarding the Garmin electronic logbook. The questions were directed to our staff by truck drivers from across the country. Without any further delay, lets dig into the most frequently asked questions about the Garmin Electronic Logbook. The Garmin eLog is very easy to operate. The driver would sign up for a driver profile and within minutes you are up. There is no need to contact customer service to active your product. Unlike the other eld’s once you paid the initial purchase price you don’t need to keep a credit card on file. As you can see in the video below, the set up is very easy. Overall, the Garmin eLog is worth the price. I been personally using it in one of my trucks. Despite , feedback from other owner operators , i think the device is worth purchasing. The initial cost of $250 may be a bit much. However, avoiding yet another monthly payment in an industry that is full of monthly commitments such as IFTA reporting, ongoing fuel, load board fees ,etc. Is the Garmin Electronic Logbook compatible with the ELD mandate? Yes. The Garmin Electronic Logbook records hours of service (HOS). Therefore, it is compliant with the ELD mandate. 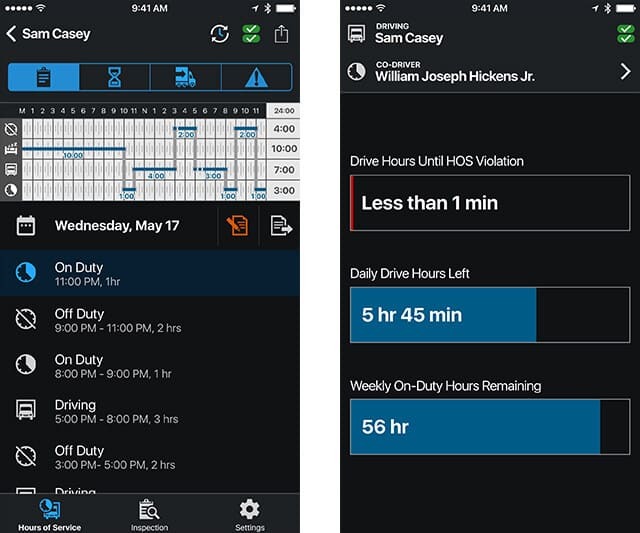 Garmin Electronic Logbook also called Elog is an ELD device that is fully compliant with the FMCSA authority. Installing this device will spare the truck driver more than one headache. This device stores ELD records securely on your compatible smartphone. The records are accessible for inspection via the device’s USB port or via the FMCSA web services over Bluetooth. To be able to take full advantage of this ELD device, you should have a GPS and Bluetooth-enabled smartphone or tablet that is sold separately. Is the Garmin Electronic Logbook accurate? Yes. 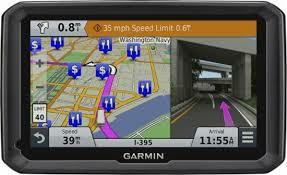 All Garmin GPS devices are world famous for their accuracy. It goes without saying that the Garmin Electronic Logbook share the same level of quality. This device accurately records a driver’s hours of service. In addition, it makes it easy to retrieve information as everything is sent right to the driver’s smart phone, or a designated tablet, via Bluetooth technology. Using the Garmin eLog, this information can also be quickly and easily shared for inspections and stored in the company’s archive. What other features does the Garmin Electronic Logbook have? Currently, the features list is not very long. The main features include recording HOS and RODS(records of Duty Status). However, more features for this device are coming soon. For instance, one such feature that is currently in development is the Driver Inspection Reporting (DVIR). Another feature is the International Fuel Tax Agreement (IFTA) logs. These features will soon become a nice addition to the ability to use the Bluetooth technology to transfer RODS to other devices. One feature that the Garmin Electronic Logbook currently offers, and that many fleets will find useful, is a USB port that allows users to download information directly from the ELD device. All of the necessary information can be downloaded onto another device in a matter of seconds. It is important to note that the sharing of information and keeping of records has become significantly easier. With the USB port in place, you can still get information from the ELD device even when not connected via Bluetooth. Which diagnostic ports are the Garmin Electronic Logbook compatible with? The Garmin Electronic Logbook is compatible with nearly every type of diagnostic port of your truck or semitruck. This includes the 6-pin J-1708 and the 9-pin J-1939 diagnostic ports, of course. That makes life easier for fleet managers who may have a variety of trucks to outfit, or ones who aren’t quite sure which electronic logging device is the right for them, when it comes to compatibility. How do you install the Garmin Elog? Installing the Garmin Electronic Logbook is literally as easy as plugging it in. Then, to be able to get information from it, you’ll need to download Garmin’s free eLog app onto your smart phone or tablet. The app will be used to store the information and retrieve it upon request. The ease of use is really a great benefit of this application. It’s really that easy, which is a huge sigh of relief for anyone who’s dealt with other types of ELD devices in the past that require no less than an expert to install. 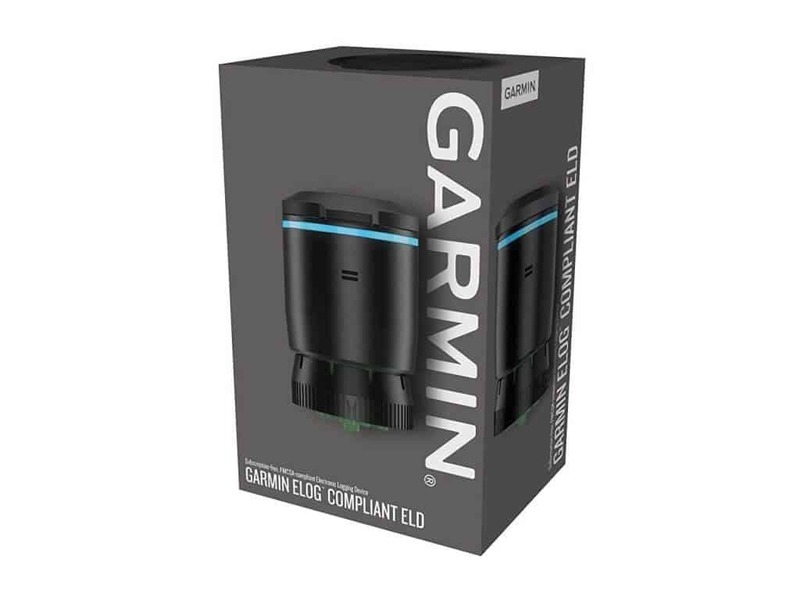 Is the Garmin elog compatible with Garmin dēzl GPS navigators? Yes. There are as many as four Garmin dēzl devices that are compatible with the Garmin Electronic Logbook. This makes it easier than ever before to keep an eye on the whereabouts of every single truck of your fleet at ani moment in time. In addition, fleet owner snow can be sure that your drivers are always taking the best possible routes to save you money on fuel. The four compatible devices include the dēzl 570LMT, the dēzl 580LMT-S, the dēzl 770MTHD, and the dēzlCamLMTHD. With these devices also on board, you can use the navigator’s display to quickly see the RODS and HOS information that you need. What does the Garmin eld device come with? When you purchase a Garmin Electronic Logbook, you get three things in the box. The Garmin ELD device comes with a 6-pin J-1708 adapter. This adapter will help you make sure that the device can unproblematically connect to your truck's ECM. You may also want to review the Quick Start Manual to help you get started. 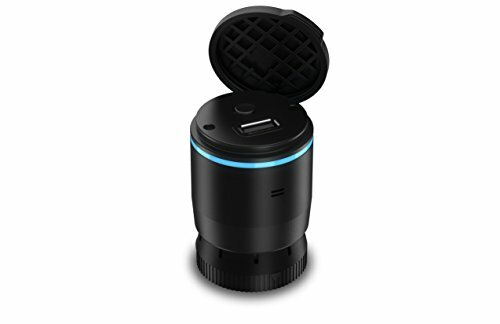 If you don’t already have a dēzl device, you can buy one separately. This investment is well worth, because in this way you will be able to get even more detailed and up-to-date information about your drivers. How much does the Garmin Electronic Logbook cost? The price for the Garmin Electronic Logbook itself is more than affordable - $249.99. As mentioned above, this includes the ELD device and an adaptor, as well as the manual. This is a one-time cost for the device itself. Although it is a bit higher than the retail price of many other ELD devices, Garmin’s unsurpassed reliability makes the initial investment worth every cent. It is true that many of the other ELD providers in the USA offer their devices for free. However, there is quite a difference between the Garmin ELD device the devices of their closest rivals. For instance, many of the other ELD providers tend to charge a significant monthly fee for using their device. Thus, you practically rent the device for as long as you may need it. Garmin doesn’t charge you a cent for their monthly services. In other words, by purchasing the device outright you wipe out the monthly subscription fee. Hence, Garmin’s offer can save you hundreds, if not thousands, of dollars in the long run, especially if you have a larger fleet. This is so, because the only thing you should take care of is raising the funds for the initial investment. If you manage a particularly large fleet, you may ask Garmin for a bulk discount on the retail price of their ELD Device. What smart phones is the Garmin Electronic Logbook compatible with? The good news is that the Garmin Electronic Logbook’s free app is compatible with any mobile device that has both Bluetooth- and GPS-capabilities, which includes most Apple and Android smart phones. In addition to being able to use a smart phone, you can also use a tablet. That is assuming that it has the same Bluetooth- and GPS-capabilities as a smart phone. This is especially good news to fleet owners and drivers that prefer to use a designated tablet that usually has a much larger display and is therefore more comfortable to work with. This is especially true when it comes to data entry. Is the Garmin Electronic Logbook the right choice for me and my fleet? This is a question only you can answer. If you’re looking for accurate device and you can put up with the limited number of functions that Garmin currently offers, this is the right one for you. Last but not least, this is a very affordable device. The garmin electronic logbook guarantees full compatibility. If this is what you have been looking for, then this device could be the right one for you. As mentioned above, the device is still lacking in some extra features that many of its competitors readily offer. On the whole, this ELD device is mostly good for smaller fleets. Hence, the affordable price tag on this device on the retail market. However, it may not be quite as efficient, if you need to run a large fleet of trucks. Is the Garmin Electronic Logbook the right choice for semitrucks? 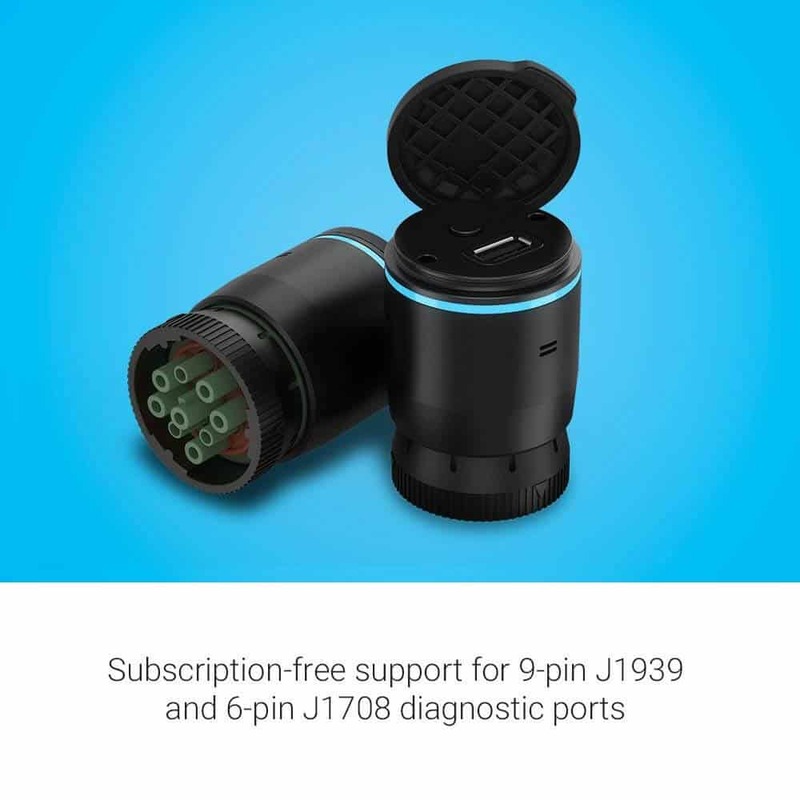 As mentioned above, this user-friendly stand-alone device supports both 9-pin J1939 and 6-pin J1708 diagnostic ports. So, as soon as you unpack it, it’s ready to fit nearly any semi-truck. All you have to do is plug in the Garmin eLog device, download the free Garmin eLog app, and you are good to go. Here we should mention that unfortunately Garmin eLog is not compatible with vehicles using the OBD2 protocol (SAE J1979). In addition, Volvo trucks with a Volvo engine which have a 16-pin J1962 configuration will require a 16-pin to 9-pin adapter cable that is sold separately. What if I need help using my Garmin eLog device? As we said above, this is a very easy to use and reliable device. Yet, should you ever need any help, you can visit the company’s official website. Once you land the main page, go to the Automotive section from the dropdown menu. From there, you navigate to Trucking and find your device. There, you will be able to watch plenty of free tutorial videos that will most certainly answer all of your questions. Should you need any further assistance, we encourage you to visit the special Garmin support website. The Get Help section looks like a forum where you can find answers to some of the most common technical questions. Unfortunately, the Software section is yet to be populated, but the Manuals section is full of all the technical info you may ever need to access. Yes, there is. Garmin offers live support over the phone, and also via online chat or email. Please note that chat and phone support is available Monday-Friday 7 a.m.-7 p.m. CST. If you need help outside their business hours, you can always send them an email. Monday is Garmin support’s busiest day of the week. Please consider calling Tuesday-Friday to get through to an expert faster. If you need to troubleshoot connectivity between your Garmin device and your smart phone, we advise you to contact their support center from a different phone. Is there a warranty on my Garmin elog device? Yes, there is. The company states that all Non-aviation products, including your ELD device, are warranted to be free from defects in materials or manufacturing for twelve months from the date of purchase. Within this period, Garmin will repair or replace any components that fail during normal use. Such repairs or replacement will be carried out at no charge to the customer for parts or labor, but the customer shall be responsible for any transportation costs.